Chicken fajitas that you can toss in the slow cooker! I make these extra cheesy and creamy and serve them over cauliflower rice. 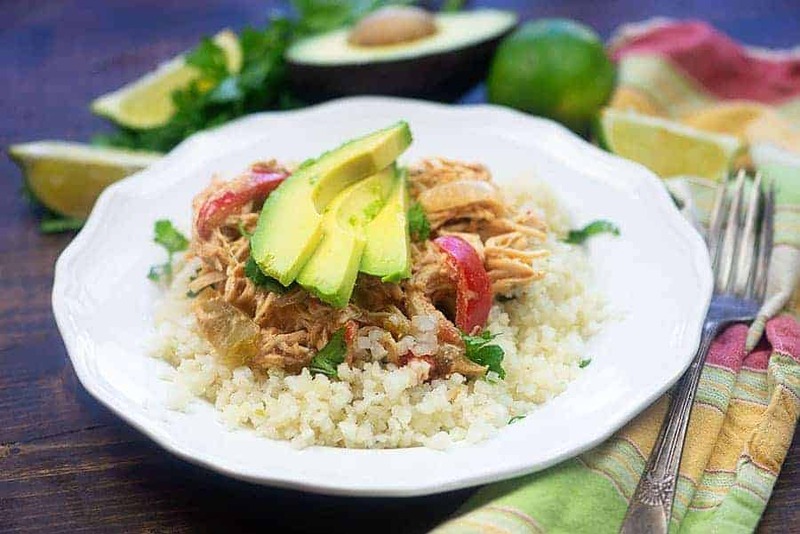 My family loves this low carb Mexican food recipe! We adopted a big goofy guy towards the end of summer and he is insanely playful and a little weird. Our other dog is 7 now so she’s mellowed out so much. This guy is 2 and he’s very much still a puppy. He wakes me up just about every night with random barking. For 2 months now. Anyway, I’m exhausted all the time, probably from the barking, the playing, and the constant clean up of destroyed dog toys. I swear, he’s worse than a toddler. All this exhaustion has led to me being on a big slow cooker kick lately. I’m honestly not sure why I haven’t used the slow cooker more often. Is there anything more convenient than tossing a bunch of ingredients in a pot and walking away. 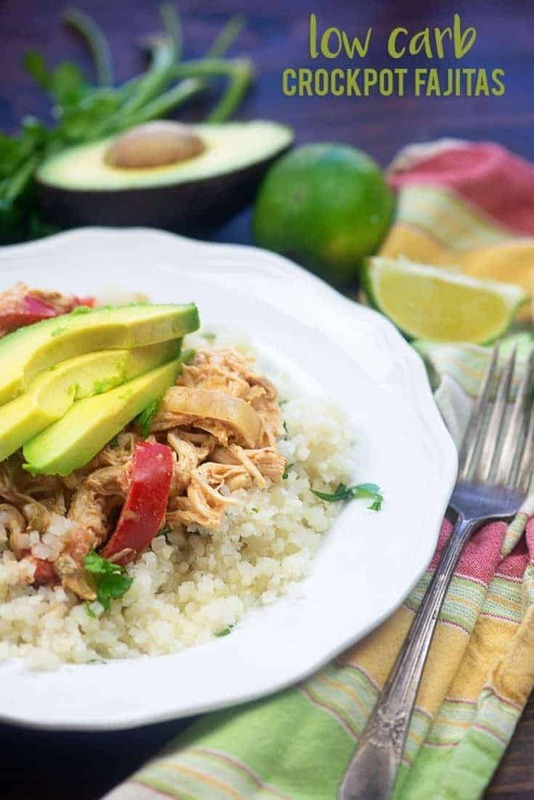 These slow cooker chicken fajitas are beyond easy and so flavorful. I add in a brick of cream cheese to make them a bit creamier and more decadent. You’re going to love this easy chicken fajitas recipe! You’re going to need chicken breasts, bell peppers, onion, garlic, salsa, cream cheese, and a couple of spices for these crockpot chicken fajitas. Nothing too difficult! 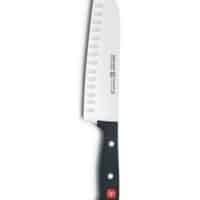 Slice the bell pepper and onion into thin strips, like you would for traditional fajitas. Toss everything right into the slow cooker and cover. Cook this on low for 6 hours or high for 3 hours, depending on your slow cooker. Every crockpot cooks a bit different, so be sure to just keep an eye on these. When the chicken shreds easily with a fork, it’s done! 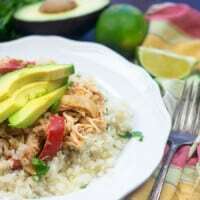 I like to serve these crockpot chicken fajitas over my cilantro lime cauliflower rice to create a low carb burrito bowl. You could also pop them in a lettuce wrap or low carb tortilla, if you prefer. Stuffed Chicken Breast: The most popular recipe on my blog and it gets rave reviews! Chicken Taco Soup: I could eat this every day! Lemon Chicken: I could drink the creamy sauce that coats this chicken! 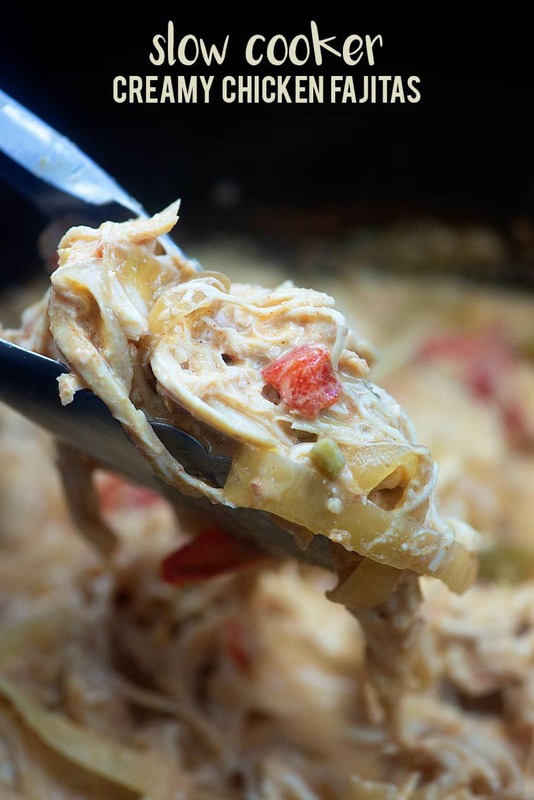 Chicken Casserole: A healthy casserole? You bet! 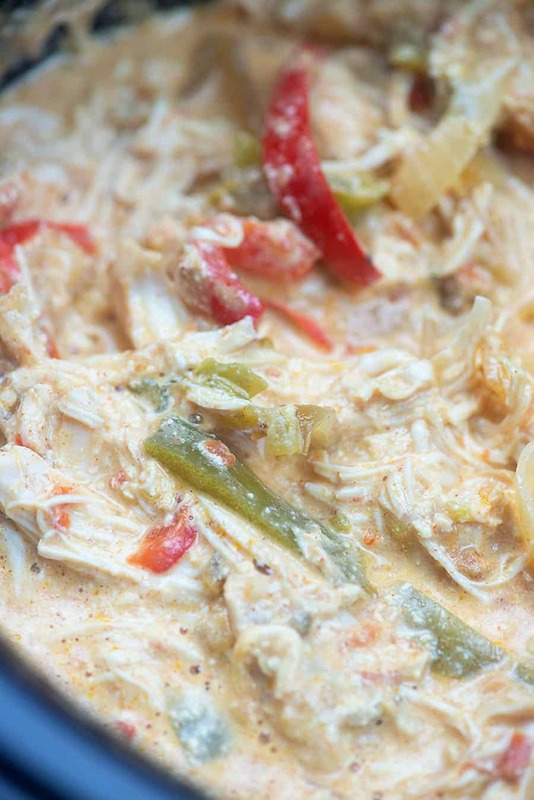 Creamy crockpot chicken fajitas! 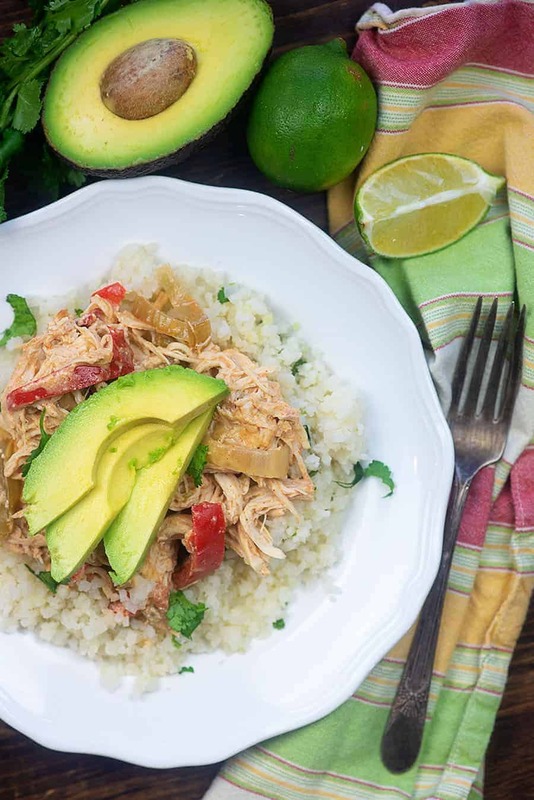 Serve over cauliflower rice for easy low carb burrito bowls! Add the chicken breasts, cream cheese, salsa, garlic, paprika, cumin, salt, and pepper to a 5-6 quart slow cooker. 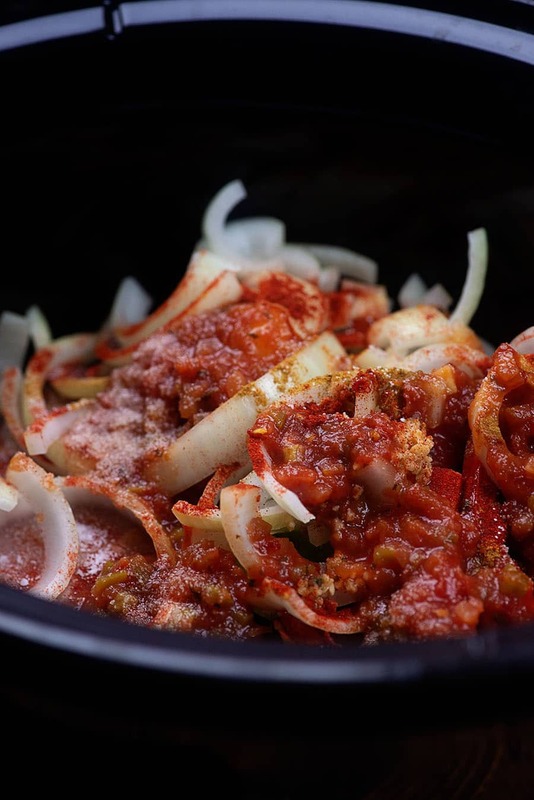 Slice the bell peppers and onion into strips and add to the slow cooker. Cover and cook on high for 3 hours or low for 6 hours, or until chicken is cooked through and shreds easily. Shred the chicken with 2 forks and and squeeze the lime over the fajitas. Stir well to combine the mixture. Spoon the fajitas over prepared cauliflower rice and top with any additional toppings you like, such as avocado, cheese, and sour cream. 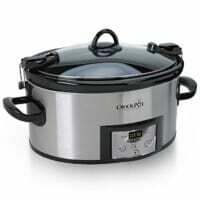 Every slow cooker cooks differently and yours might run hotter or colder than mine. Adjust the cooking time as needed and cook chicken until it easily shreds with a fork. Nutrition information does not include cauliflower rice. Here you go! https://thatlowcarblife.com/mozzarella-stuffed-meatballs/ Enjoy! Could not wait the three to six hours to try this recipe so I cheated a little. I bought a precooked rotisserie chicken (removed skin) and pre-sliced onions and peppers. The rest of the recipe was followed except no salt was added and it turned out amazing! Thanks again for another great recipe! Can’t wait to try this is the carb count net? This recipe was delicious! One of my girls has a dairy allergy, so I replace the cream cheese with a full can of Coconut Cream. It was amazing! Thanks for the great recipe!